The Eastern Band of the Cherokee Nation witnessed a dream come true when K-12 students began the school year in a new $108 million, 473,000-sq-ft complex. 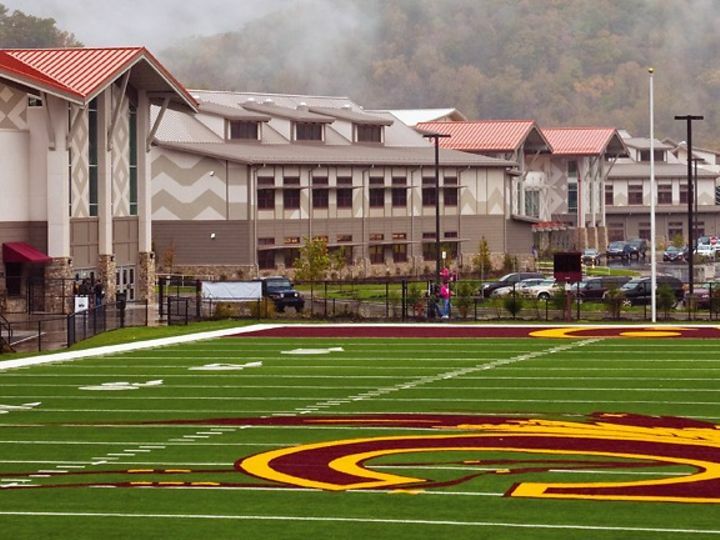 The Cherokee Central School is an all-encom passing campus with three schools, three gyms, an auditorium, community center, sports arena, cafeteria, and an array of state-of-the-art athletic fields. A variety of dormakaba Architectural Hardware products has been installed on internal and external doorways throughout the schools - contributing to energy conservation, while providing durability, strength, reliability, and security. DORMA closers, exit devices, pivots, locksets and keys, dead bolts, power supplies, and electro-magnetic door holders work together to ensure that doorways are safe, secure, easy to use, and longlasting.